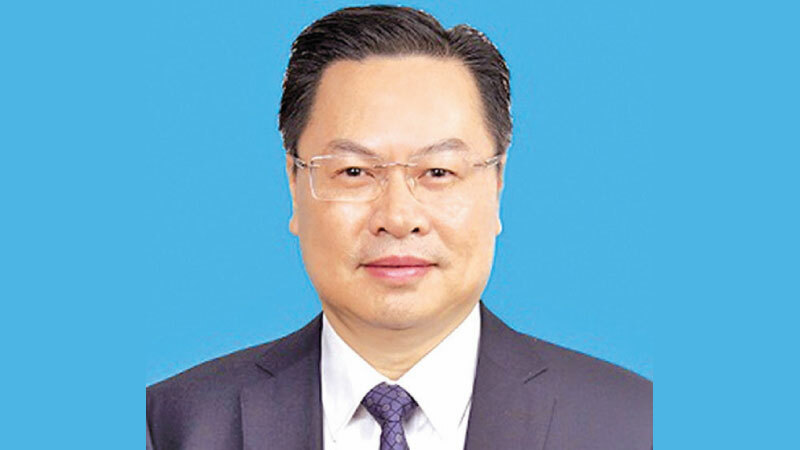 Sri Lanka is one of the first countries to publicly support and participate in the Belt and Road Initiative, said Cheng Xueyuan, the Chinese Ambassador to Sri Lanka. “Sri Lanka is the first country in South Asia to sign a trade agreement with China. (Rice Pact) he said on the occasion of the 62nd anniversary of the establishment of the China - Sri Lanka diplomatic relations. China and Sri Lanka’s relations have been tested in times of difficulty and emerged even stronger. In a globalised world, we have all a stake in each other’s future, such as passengers riding in the same boat. A community with a shared future between China and Sri Lanka is taking shape. China - Sri Lanka cooperation under the Belt and Road Initiative, has not only brought tangible benefits to the two countries and its peoples, but also brought new opportunities to regional development. The under-construction Colombo Port City, the Hambantota Port and Industrial Park are expected to become the new powerful engines for Sri Lanka’s economy to take-off. The gradual completion of the Puttalam Power Station, the Moragahakanda - Kalu Ganga Project, the Airport Expressway, the Southern Expressway, the Central Expressway and the Southern Railway, had fundamentally changed the development landscape of Sri Lanka. China’s aid, training, technology and management as well as job opportunities created by these projects, are deeply changing the future and destiny of the ordinary people in Sri Lanka. The relations between our two countries have withstood the test of history. China and Sri Lanka are both civilizations with long histories. Both suffered from imperialism and colonialism. Similar historical encounters prompt us to empathize with each other, understand each other’s deep aspiration for a better life as well as support each other firmly. On December 18, 1952, before we established diplomatic relations, the leaders of our two countries broke through the heavy blockade of imperialism and made a decision with far-sighted political courage to sign the Rubber-Rice Pact. It had built a solid foundation for the long-standing friendship between China and Sri Lanka and has become the most direct and powerful proof that relations could stand the test of difficulties. China has been actively involved in supporting Sri Lanka in various fields, firmly supported Sri Lanka to safeguard national interests and its dignity and pursue development and prosperity. This intensified after the end of the conflict. Sri Lanka is also one of the first countries to publicly support and participate in the Belt and Road Initiative. Facing the unprecedented changes in the world, some countries are still hesitating at crossroads of cooperation or confrontation, openness or closure, win-win cooperation or zero-sum game, China and Sri Lanka are moving forward with each other, upholding the international order of openness and inclusiveness, mutual benefit and win-win results firmly. “We grasp the overall picture of China - Sri Lanka friendship, maintain our “strategic focus” and suppress interference, to promote synergy between the “Belt and Road” initiative and the development strategy for Sri Lanka with bilateral and mutual political trust strengthened, pragmatic cooperation deepened and cultural exchanges enhanced. I believe that Sri Lanka would regain its glorious status as the crossroads of the Indian Ocean in the near future and Sri Lanka people would live a happier life. Under the guidance of the important consensus reached by our two leaders, we would adhere to the golden rule of “extensive consultation, joint contribution and shared benefits,” maintain our “strategic focus,” suppress interference, focus on the friendly and pragmatic cooperation under the framework of “Belt and Road,” promote the construction both in substance and depth and bring more tangible benefits to our two countries and two peoples.